Dogwood’s North Shore team’s been busy getting postcards filled out and creating a database of people willing to comment in the online comment period happening now through the end of April. Let’s get together and talk about how it went, and where we go from here! Team priorities now are to use every means possible to get people engaged to the diluted bitumen regulations comment period – hosting pub nights for card signing and in-person commenting, having friendly businesses host a stack of our cards, doing film screenings, canvassing and more. 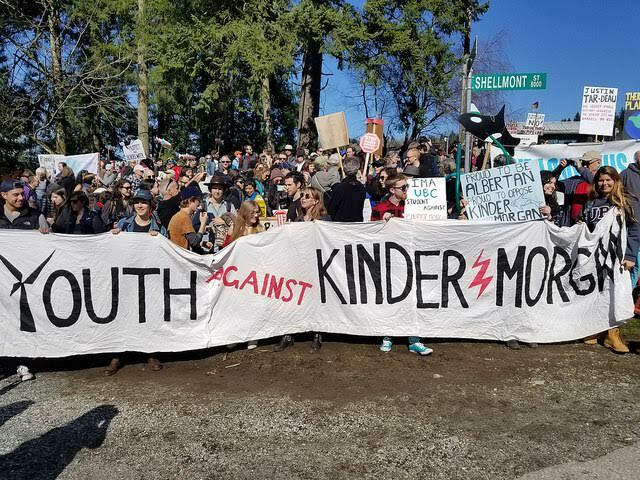 Join us after dinner on March 28 for the latest updates on the Kinder Morgan front and a brainstorm of strategies that will carry us forward to the end of April. We’ll be phone banking card signers, phone banking phone bankers and texting cellphone users – all to make sure we get thousands of concerned people engaged. We need you with us to put an end to this pipeline, once and for all! If you can join, please register to attend here: dgwd.ca/team-meeting.